Blessed ever be the way, the way on which you walk this day, for there is prepared for you a place of everlasting rest. NOTE:Cremation is not an option if one wishes to have an Orthodox Funeral Service. Our tradition as Orthodox Christians is to bury the dead. Out of deep respect and reverence, the body of the deceased is placed in a casket and set in a grave. This deep respect is given because Saint Paul describes every Christian’s body as “a temple of the Holy Spirit” (1 Corinthians 6:19). Thus, it is returned to the earth from which it was taken (Genesis 2:7). Choose the cemetery where you wish your loved to be buried and contact them to make the necessary arrangements: the choosing and purchasing of a burial plot, headstone, etc. Bring a set of clothes (suit/dress and underclothes) for your loved one to the mortuary for them to be buried in. Sometimes a recent photo of the deceased will be requested by the mortuary to be used in their preparation of the body for the funeral. Choose icon memorial cards and a guest book for those attending services. These are usually provided by the Mortuary/Funeral Director. Be prepared to offer the Mortuary the information they’ll need for obituary notices both in print and online. The Mortuary will ask about the number of death certificates that need to be ordered from the State for legal and financial purposes such as insurance policies, veterans and social security benefits, etc. Normally, 5-10 death certificates will be needed. The Trisagion the night before the funeral service is usually held in the cathedral at 7 or 7:30PM; the Trisagion is a brief memorial service, no more than 10-15 minutes in length. Aside from offering prayers of love and respect for the departed, the time surrounding this service offers friends and loved ones an extended opportunity to view the deceased. After the Trisagion service, our cathedral’s custom is to allow the departed to remain upon the solea “lying in state” throughout the night, facing the altar, in the ever-loving embrace of the Theotokos until the funeral the next morning. The Orthodox Funeral Service is held the next day at the cathedral (usually 10:30 or 11AM) and is approximately an hour long. The Church Fathers suggest that there is no greater freedom than to live life with a healthy relationship with death. The more we embrace the mystery of our own mortality, the more we see the need to avail ourselves of becoming ever more united with God through His Son. We begin to look deeper into things: our lives, our relationships, and the mystery of Jesus Christ. We value these things more and are moved toward mindful, wholehearted living. 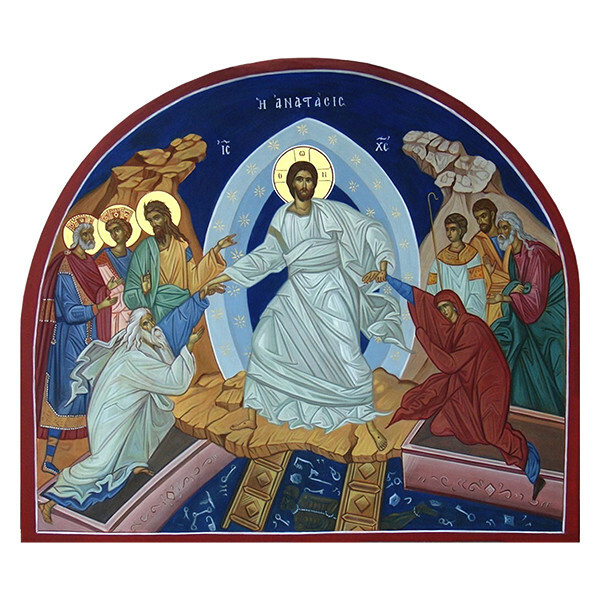 An Orthodox Christian funeral conveys a person’s entire life and death in the context of our faith in the Crucified and Risen Christ. It also enables family and friends to gather together to begin the process of accepting the painful reality of death and express their love, grief and support for one another.